‘How I want thee, humorous Hogarth! Thou, I hear, a pleasant rogue art. This hand stretched out across the divide between words and pictures can be read as a wistful regret from Swift of never being able to skewer his targets completely. It is an acknowledgement that although his invective is peering and dissecting, capable of piercing the most bloated hyperbole of his targets, real painful punishment comes with the addition of illustration, the ultimate pie in the face. Between them, Swift and Hogarth would have made the ultimate deadly duo of piercing wit and profound illustrations. Swift; the author of ‘Gulliver’s Travels.’ and the much believed pamphlet, ‘A Modest Proposal.’ a tale wherein, he proposed that one way to alleviate poverty and hunger among the Irish poor was for the rich to eat their babies, never had the opportunity to work together. In William Hogarth he recognised not only a great writer and artist, but also a magnificent caricaturist whose sketches could skewer the grotesque wrongs of the privileged and amplify the misfortunes of the poor in but a few strokes of his pen and some telling, pithy phrases. Scotland’s history of literary satire is poor by comparison, John Arbuthnot (the inventor of John Bull) apart, the douthy thoughts of Hume, lead to the romantic notions of Scott, who in turn gave way to the flamboyant imaginings of Stevenson, our first magical realist. Only in the 20th century did acerbic Scottish humour start to wake up, and it was mostly the working classes finding an audience for their wit. The likes of Connolly and Chic Murray, took their bar room stand up onto the international stage. Home grown satirists like cartoonist Bud Neill and surrealist Ivor Cutler ploughed a narrow but exceptional field. In the run up to the 2014 referendum, proponents of Independence found just about every establishment figure and establishment media lined up against them. Out gunned, out financed, the only tool to compete with the erroneous and fantastical headlines, was the visceral Scottish piss take. Something Scotland excels at. Post-Referendum we saw a massive rise in SNP membership, as the realities of the so-called Vow became apparent. As early as January 2015, it was apparent that Labour’s hegemony in Scotland was under threat, with predictions of everything from the loss of ten seats to a complete wipe out. Yet still the establishment media in Scotland identified one James Francis Murphy as their saviour. His chums in the press rallied with unctuous flummery that would have embarrassed the politicians nearest and dearest. Civic Scotland pootled on, some expecting a tsunami, other’s a more realistic rebalancing of power. A long-haired Scottish chap walks into focus and begins to tell the tale of the rise of James Francis Murphy. 30 seconds in and the discerning viewer is made aware that this is an exceptional piece of work that leaves no stone unturned in its visceral demolition of the myth of Jim Murphy, or Murphistory as it is now known. Poor Jim’s back story, born in a sock drawer, raised on Irn Bru, lauded by none other than John McTernan, as the Presidential stuff of the West Wing, was deliberately and surgically dissected via the worthy words and beautiful images that in many ways realised Swift’s desire to marry text and imagery. The team behind the video, which has been watched by nearly one in ten Scots, operate under the banner ‘Gamma Wave’ are the situationist Bonnie Prince Bob and self-proclaimed digital flâneur Norrie Harmann. Director Siri Rodness helps to give the work of the collective their incredibly professionally standard. Having consigned Murphy and the Red Tories to the digital dustbin of history, the deadly digital duo are currently working on a scathing assessment of those intent on demonising Jeremy Corbyn. The team know that Corbyn is no fan of Scottish Independence and this project isn’t intended to provide succor to what remains of the beleaguered Labour movement, instead it plans on shining a bright, burny spotlight on the corrupt and venal power at the heart of the establishment and their supine friends in the corporate media. The very same neo-liberal elites who ordered their Northern minions to suppress Scottish aspirations in 2014. Using the premise of a documentary looking back to the glories of an imagined Corbyn premiership, Gamma Wave have perfectly captured the hypocrisy of the establishment media and those behind the chicken coup that has seen Labour take their members to court in an effort to stop them voting in the impending leadership collection. … and throw some coinage in the direction of our digital deconstructionists. A tenner from me – an old pensioner! Are we no fundilymudily no predisposed to understanding how to work a camera are oor cameras no to wee? are we no to stupid to know how to use them? Can we even afford one? Could it be the msm have not been entirely open transparent and honest with me? 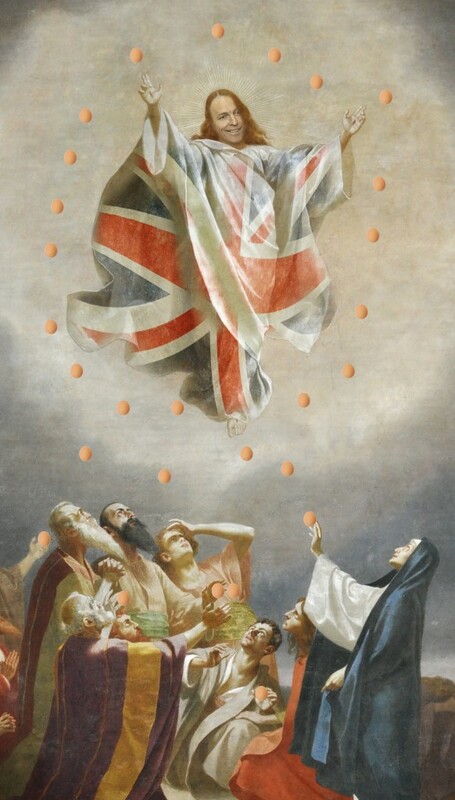 Not a fan of Jim Murphy et al but dont appreciate the use of Catholic imagery – inclusive? Didnt many of us do our bit in voting YES? have been a big supporter of Bella, Commonweal etc but cheap swipes at peoples beliefs a big turn off. Thanks but no thanks. I don’t think you get it because It really has nothing to do with religion but even if it had, surely you would not be placing religion beyond satire or criticism? We all know where that leads. Hi Elaine, there’s no dig aimed at Catholicism here. 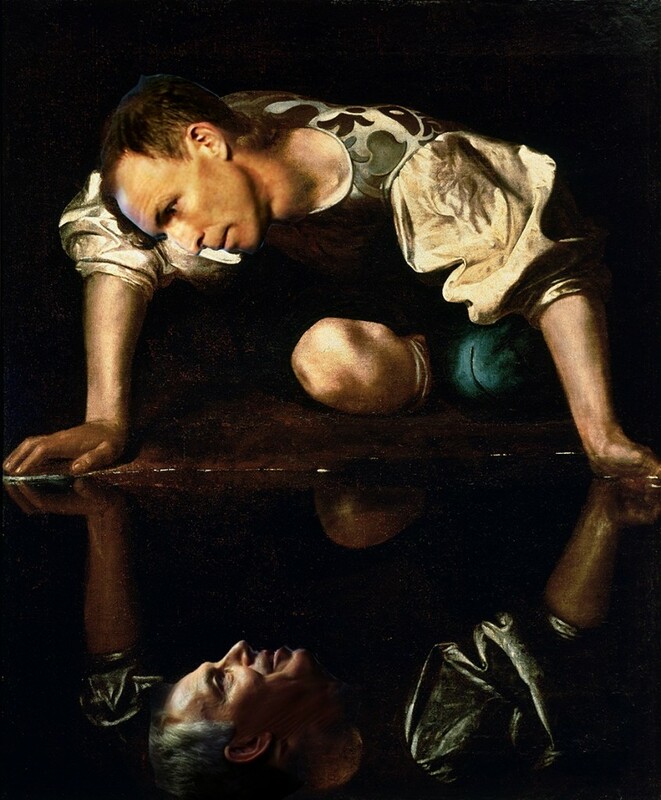 The use of religious iconography served to prick the pomposity of Murphy and his advisers, who constructed a narrative that saw him as some kind of deity and salvation for Labour’s woes in Scotland.